The Program is a practical tool in your awareness development process for this lifetime. How can you understand what it is, how to use it, and how to learn from it? The Rave New Year Forecast can provide you with the specifics of this year’s lesson plan for you and for the world around you, for your ongoing process of increasing awareness. The Program provides a continuous cyclical conditioning influence upon humanity, and it can manipulate the mind through openness in our design, reinforcing the mind’s use as the decision-making authority. The Program is created by the daily movement of the planets in their orbits around the solar system. According to the Human Design System, the cyclical orbiting trajectories of the planets influence the data-stream that permeates all of existence. This data-stream is the very intelligence of the universe, and is filtered and transmitted through each planet. Each planet has its own cycle around the wheel, commonly called a transit of a particular gate. 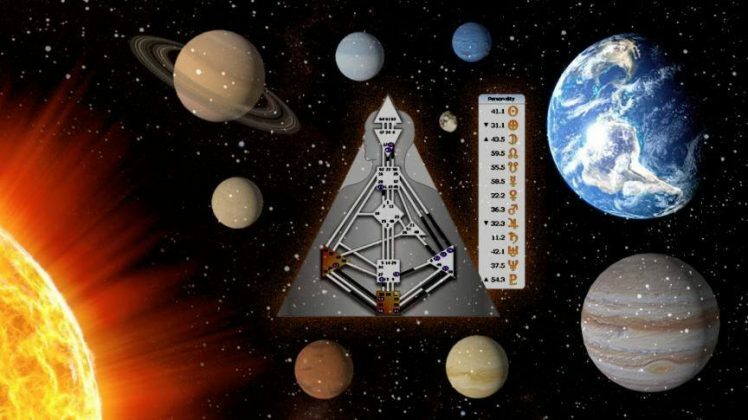 For example, the Moon moves through each of the 64 gates in approximately 28 ½ days and the Sun and Earth cycle through each of the 64 gates in one year. Some of the inner planets such as Venus, Mars, and Jupiter take weeks or even months to transit a gate, while the outer planets, Neptune and Pluto, can take years to transit a gate.